Aerial image of a SAGD site in Alberta (not Statoil). Photo by author. Sign for Statoil's site near Conklin. Photo by author. In New York recently, not only did Prime Minister Harper skip the UN Climate Summit, but the Canadian government was the only UN member state raising objections to the outcome document of the World Conference on Indigenous Peoples. The same week as the UN meetings, the Norwegian oil company Statoil announced that it is shelving its Corner expansion project in the tar sands for at least three years. Statoil’s a small player in Alberta, but its decision points to obstacles facing all companies in the tar sands. Statoil’s press release cites “costs for labour and materials” as well as “market access issues”. Crude oil prices are also at two year lows, hurting high cost tar sands producers. The change in Corner’s status follows Total’s decision in May to shelve its Joslyn project indefinitely and Suncor’s cancellation of an upgrader facility in 2013. What links this story to the World Conference on Indigenous Peoples are the reasons behind the Corner decision. Statoil’s press release explicitly mentions “limited pipeline access” which “weighs on prices for Alberta oil”. There is no shortage of pipelines in the works, with proposals from the likes of Enbridge and TransCanada to ship bitumen to the Gulf Coast, New Brunswick, British Columbia, and elsewhere. However, strong and continuous resistance has called into question the future of these projects, in spite of the Harper government’s attempts to expedite them. Clayton Thomas-Muller, member of the Mathias Colomb Cree Nation and co-director of the Indigenous Tar Sands Campaign of the Polaris Institute, says that “today’s fight for energy and climate justice has been redefined in both Canada and the United States by a new sophistication in resistance from Indigenous social movements, such as Idle No More, the international Indigenous Tar Sands Campaign, and dozens of local examples”. How has this resistance affected companies like Statoil? When Statoil acquired several leases in the tar sands in 2007, it had plans to eventually produce 200,000 barrels of bitumen a day. 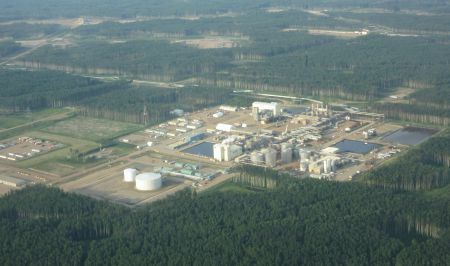 The company emphasized a “step-wise approach” and began production in 2011 at Leismer, a demonstration project with a capacity of 20,000 barrels a day. Statoil insists that Leismer, its only Albertan lease in production, will continue as planned, but some of its critics have doubts. Greenpeace Norway’s Truls Gulowsen wrote on the organization’s website: “The project is dead. The sum of the protests, technical problems, high CO2 emissions, cost, and lack of pipelines to get the products to market have made Statoil see the writing on the wall, seven years after everyone else”. The project was controversial from the start in the company’s home country, not least because the Norwegian government is its majority shareholder. Their presence in the tar sands has been roundly criticized by a variety of groups in Norway, including Greenpeace, the Norwegian Church, and some investment companies. A major source of criticism is the project’s projected carbon footprint. Statoil’s method of extraction, steam-assisted gravity drainage (SAGD), whereby steam is injected into the ground to heat the bitumen and pump it to the surface, is more water and carbon-intensive than the more familiar open-pit mining method used around Fort McMurray. In 2013, bitumen began leaking out of the ground at Canadian Natural Resource Limited’s Primrose SAGD project. The Alberta Energy Regulator’s green-light for CNRL to resume the project before the investigation is complete raises concerns over the safety of SAGD projects in general and further erodes public confidence in the regulator’s decision-making. “The government has not listened”, says Crystal Lameman, a member of the Beaver Lake Cree Nation and the climate and energy campaigner for the Sierra Club Prairie Chapter. Surrounded by SAGD projects, her nation’s members now face no trespassing signs when traversing their territory. “They didn’t listen, we had no choice but to take them to court and that’s just what the Beaver Lake Cree did in 2008 for the cumulative impacts industrialization has wreaked on our traditional territory”. The nation has been granted a trial after the federal government’s appeal was dismissed. 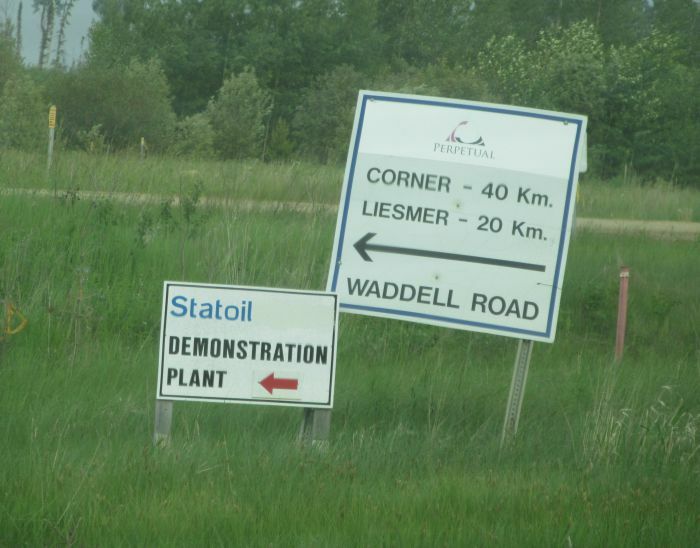 Statoil is one of many companies represented on the list of thousands of infringements; the company is operating on her nation’s traditional territory in Treaty 6, about 100 km north east of Edmonton. Ms. Lameman adds, “Even though companies like Statoil might follow all the regulations, these are systems of manufactured consent. We have been speaking out for a long time about these systems created outside of our community that do not honour our right to free, prior, and informed consent, our right to self-determination and original jurisdiction over our traditional lands and territories”. The “market access issues” cited by Statoil are a direct result of people speaking out and taking action. These efforts are paying off as the U.S. government continues to delay the decision on Keystone and the fate of other pipelines remains uncertain. The Yinka Dene Alliance, representing many First Nations in the path of the Northern Gateway pipeline, has vowed to ‘hold the wall’ and not let the pipeline snake across their territories. First Nations in Canada are in a unique position to challenge these projects on judicial grounds given the Crown's duty to consult and constitutionally-protected Treaty rights across much of the country. On September 26th, the Federal Court of Appeal granted leave to the Gitxaala Nation to apply for judicial review of Northern Gateway’s approval process, over its inadequacies in consultation and accommodation. The Chippewas of the Thames are challenging the National Energy Board’s approval of Enbridge’s Line 9 reversal on similar grounds. A series of direct actions have also contributed to a delay in Enbridge starting up Line 9 as its integrity digs are behind schedule. Speaking of diverse forms of resistance, Clayton Thomas-Muller says that “these strengths, rooted in a strong Indigenous spiritual foundation, have placed Indigenous Peoples in the forefront of the fight against neoliberalism and its worst manifestation: climate change and the associated drivers, such as Canada's tar sands and the dozens of battle zones across the continent where the promotion of hydraulic fracking is threatening the water”. Under the current system, review panels or tribunals hear comments on proposed projects and weigh the interests of different stakeholders. But the types of concerns considered are quite narrow and the arbiters on the panels generally do not have to justify the weight given to Aboriginal concerns. The Alberta Energy Regulator, for example, has the authority to approve massive extraction projects, but has stated that it does not have the jurisdiction to deliberate on constitutional issues, which includes Treaty rights (see article here). The fall 2014 report from the Environmental Commissioner also noted that there is a lack of clarity over how decisions on environmental assessment are made and identified gaps with Aboriginal participation. And yet, these processes, designed and dictated unilaterally by the provincial and federal governments, often pass for ‘consultation’, and are sometimes legally challenged afterwards at great expense to individual First Nations. While the duty to consult continues to be defined in the Canadian court system, the Harper government fights against the principles of free, prior, and informed consent at the international level. Canada was one of few countries to initially reject the UN Declaration on the Rights of Indigenous Peoples (UNDRIP). Canada adopted the document belatedly in 2010 with conditions and referred to it as “aspirational”. In its reservations to the Outcome Document out of the WCIP meeting, a document on implementing the UNDRIP, the government argued that integrating free, prior, and informed consent if interpreted as a veto “would run counter to Canada’s constitution” and would undermine existing consultation processes. This differs from the government’s statement in 2010, which read: "We are now confident that Canada can interpret the principles expressed in the declaration in a manner that is consistent with our constitution and legal framework". Prof. Dwight Newman, a Canada Research Chair and law professor at the University of Saskatchewan responds, “I can’t see that there would have been any domestic legal consequence to Canada just signing on with the WCIP Outcome Document. Canada’s response seems to reflect an extreme degree of legal caution”. At a time when the Canadian government is facing legal challenges from First Nations from coast to coast over resource extraction projects, it seems that the government is eager to curtail an interpretation of consultation that would include veto rights. Otherwise, if regulatory processes were to require the consent of impacted First Nations before proceeding, some of the projects trumpeted by federal ministers would be dead in the water. Recent announcements to postpone projects or delay pipelines are hailed as victories by the environmental and indigenous rights movements. The decisions contribute to the slowing pace of growth in the Alberta tar sands. In its June 2014 report, the Canadian Association of Petroleum Producers (CAPP) downgraded its previous production estimates, but still aspires to an increase from the 1.9 million barrels produced from the tar sands per day in 2013 to 4.8 million b/d in 2030, with the largest increase in SAGD. Statoil continues to operate in the tar sands at its Leismer site and has invested in recent years in shale oil and gas (“fracking”) leases in the United States. Indigenous peoples and allies continue to confront the Canadian government from the blockade to the courtroom over regulatory systems that suppress dissent and legislative changes that threaten the environment. Despite the formidable challenges, Crystal Lameman speaks hopefully of the future – “We are on the trajectory to change the system. It is changing every day”.